The future of knee surgery may be found in soybeans. That’s what Chinese researchers proposed in their study Reduction of intra-articular adhesion by topical application of daidzein following knee surgery in rabbits. The research, which was published in African Journal of Traditional, Complementary and Alternative Medicines, explored the effects of daidzein, an isoflavone found in soybeans, in preventing intra-articular adhesion when it is applied after knee surgery. Soybeans are known for their many health benefits. They are known to have anti-tumor and anti-aging properties. Studies have even confirmed their capacity to prevent menopausal osteoporosis in older women. Aside from these, consuming non-GMO soybeans can reduce the likelihood of heart disease, diabetes, and Kawasaki disease (a condition where the coronary arteries are inflamed and cannot deliver blood to the heart). All these health benefits, researchers believe, are because of the isoflavones in soybeans — one of which is daidzein. On the other hand, intra-articular adhesion is one of the usual complications faced by orthopedic surgeons after knee surgeries. How these adhesions are formed is still not fully understood, but researchers believe this is closely linked to the production of collagen and scar tissue during the healing process. Intra-articular adhesion, however, can impede with the recovery of the knee after surgery and may even affect its functions, causing cartilage degeneration, stiffness, and joint pain (arthralgia). For this study, researchers conducted an in vivo test using rabbits, which were divided into the control group and the experimental group. Bone tissue and compact bone were surgically extracted from both groups; however, the experimental group was given a topical solution of daidzein in the excised area before closing the knee. They were then observed for one month, checking scar tissue to determine the presence of inter-articular adhesion in the knee of the rabbits. After the experiment, researchers found that rabbits who had been given daidzein showed a significant decrease in scar tissue over the control group. They also discovered that an increase in daidzein concentration also decreased the amount of production of fibroblast, a component for intra-articular adhesion. Researchers explained this phenomenon as part of daidzein’s anti-proliferative properties. Aside from daidzein, soybeans contain other isoflavones that function as antioxidants, which prevent the formation of free radicals that damage the cells. They also contain protein that’s easily digestible by humans over other forms. Soybeans are also low in carbohydrates which makes them a good food choice for people with diabetes. Oligosaccharides, the carbohydrate that’s found in soybeans, are difficult to digest. However, when these reach the colon, soybeans promote the growth of microbiota like bifidobacteria. While consuming beans may lead to flatulence, this is not true for some soy products as this effect is reduced or even eliminated. There are a number of diseases that can be prevented or treated because of soybeans. Studies have shown that eating soybeans reduce the levels of low-density lipoprotein (LDL)-cholesterol in the body, reducing the risk of cardiovascular disease. This can be attributed to the hypocholesterolemic (cholesterol-reducing) effect of soybeans. In addition, they may also lower blood pressure and reduce inflammation to blood vessels in the heart. Another positive benefit of soybeans is its ability to reduce the development of breast cancer for women. 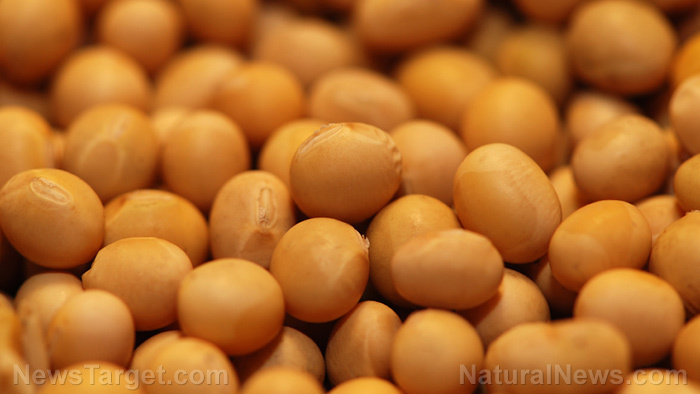 Multiple studies have shown that eating soybeans early in life, such as childhood and adolescence, may lower the chances of getting breast cancer later in life. To learn more about the benefits of soybeans, head over to Superfoods.news today.